In 2016 in general education schools in Latvia and Lithuania there were respectively around 12000 and 38850 students with special needs. Project will help social integration of children with disabilities. Each of the project partners have developed good practices that can be shared between them in order to improve the well-being of children with special needs. During the project a pilot model of perfect organization which will provide a variety of social integration services and teaching precisely for children and youth with special needs will be created. 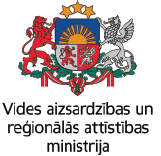 Three international summer camps for children and youth with special needs will be organized in Kaišiadorys (Lietuva), Kuldīga and Daugavpils (Latvia), best practice exchange of educating children and youth with special needs between partners will be organized as well as entrepreneurial ideas competition, which will improve entrepreneurial, communication and integration in society skills of children with special needs. Also educational trainings about behaviour models and socialization of children with special needs will be organized by each partner for parents, other family members and project partners. Quality of services provided by partners organizations will be measured and students exchange between partners will be organized. Senses clinic will be established in Kaišiadorys Saint Faustina school. There social and physical rehabilitation and relaxation services will be provided for children and youth with special needs. As a result of the project, the range of social services for children with disabilities who study in project partners organizations (around 493) will be extended and integration of these children will be improved. In 25th of May 2018 was organized first project LLI-379 “The pilot model of PERFECT organization providing teaching and social integration services for children and youth with special needs” meeting where project partners met. Kick-off meeting was held in Kuldiga, Latvia. Partnership agreement was signed. Lead partner informed all participants on general requirements of project implementation, including financial aspects, communication and reporting needs. During the meeting partners established management bodies, coordination, management, monitoring and evaluating systems: responsibilities and duties of each partner.